As part of the Inquirer’s on-going run-up to the U.S. Open at Merion, my former Inquirer colleague Joe Juliano has a nice story in the Sunday sports section on Chis Patton, who won the U.S. Amateur on the East Course in 1989. Patton is an interesting case. In those days, the first thing you noticed about him was that he was enormous – you couldn’t help but notice. Patton was 300 pounds and he was all doughy and baby-faced, hardly the stereotype image of a champion athlete. His soft outer shell turned out to mask an inner strength and athleticism, as the kid from Clemson mowed down the competition at Merion in ’89. The second thing you noticed about Patton was that he was South Carolina farm kid with a drawl right out of "The Dukes of Hazzard." What I’m getting at here, delicately, is that Patton did not exactly fit the mold of the cavalcade of champions in Merion’s great past – at least not in outward appearance. Merion is a very proper place and no member would be so boorish as to come right out and say that, or to acknowledge it beyond a wink, but ideally the club prefers its champions be a little more dashing, iconic and historic, like Ben Hogan and Bobby Jones. Merion seems to like its connection in history with Lee Trevino (’71 Open), because he turned out a great champion and a popular figure in the game; David Graham (’81 Open) seems to earn a measure of respect from Merion, even if you can’t really feel the love. The club doesn’t quite seem to know what to make of Edoardo Molinari (’05 Amateur), or know whether it should even bother. Chris Patton? Well, your sandwich could go stale waiting for a Merion member to bring up his name, or, for that matter, by extension, the ’89 Amateur. On the occasions when I have taken it upon my self to broach the subject, say, over lunch, I’ve known Merion members to stare at their feet, or offer a blank expression, saying nothing while their eyes say everything. "Guess you could say I’m winnin’, Mom. Dad there?" 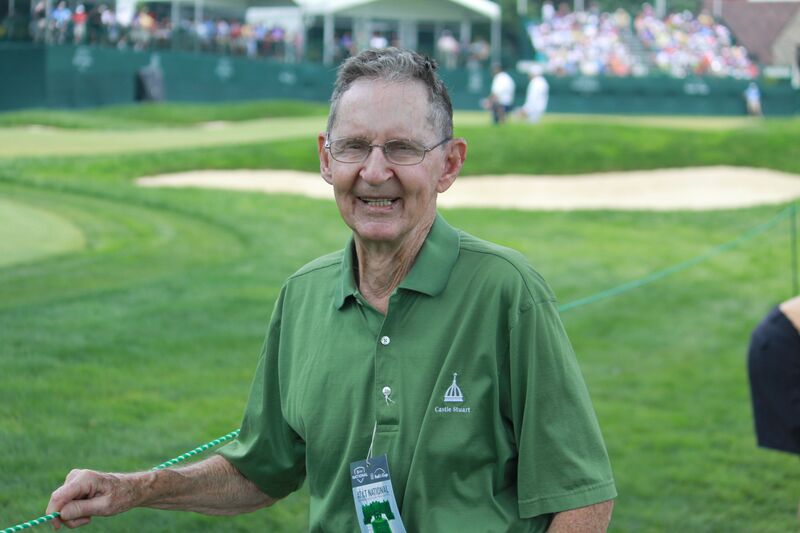 As it happens, the first time I ever laid eyes on Merion was the Sunday afternoon of that final match, when Patton faced Danny Green, a Tennessee riverboat gambler of a golfer, with a weird, slapshot golf swing. Green had taken down favorite son Jay Sigel in the semifinals. It’s debatable whether a victory by Green would have been any easier for Merion to swallow. This was seven years before I started covering golf for the Inquirer. In fact, I wasn’t even playing much golf at the time; my kids were little, only two and four years old at the time, and I was lucky go get in a round or two a year. My clubs spent long stretches in the hall closet. That didn’t mean I didn’t watch golf on TV or obsess about golf. When I saw that the Amateur was coming to town, I had to try to get over to Merion, which I’d heard so much about. I didn’t know or care who was in the finals; I just wanted a golf fix. I first spotted Patton from Ardmore Avenue, as he made his way up the 12th fairway toward the green. It was a hot and muggy and Patton showed the strain of the summer heat and the heat of competition in what is perhaps the most demanding championship in golf. You’ve got to hand it to Patton: he pulled it off. Patton eventually turned pro and bounced around the mini tours for 14 years. He never made it to the PGA Tour and when he retired from competition in 2004, he returned home yo Fountain Inn, S.C.. where he works on his family’s farm. Patton is happy and fulfilled; he only plays a handful of rounds a year, and he doesn’t really miss game. By 1999, I was covering golf, when Casey Martin’s lawsuit against the PGA Tour was in the news. I went down to a Nike Tour event in Pompano Beach, Fla., to do a story. On the range one day, it was Patton, who was trying to make a comeback from an injury, who caught my eye. 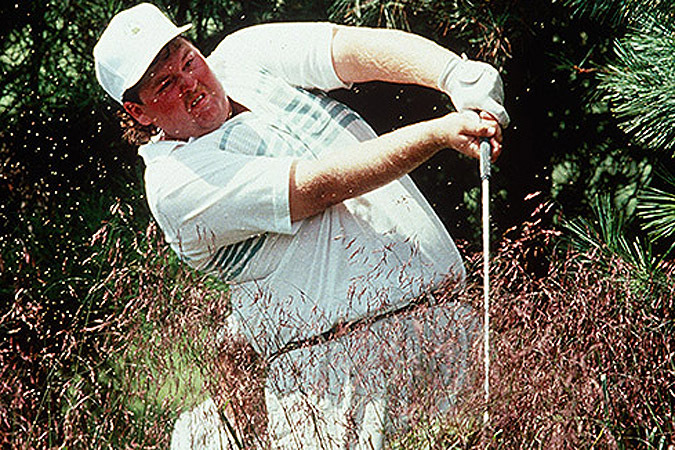 He was still very big man then, although not the 300 pounds he had been when he won the Amateur at Merion. I just remember watching as he went about the business of limbering up and hitting balls before his round. Much to my surprise, Patton bent and stretched in ways that I sure couldn’t. Once he began to work his way through his stack of balls, it was clear he had a pure, sweet golf swing that is the rare gift of the natural athlete. In Joe Juliano’s piece, Patton had nice things to say about Merion, remembering it as a course where the rough is brutal but winning is all about placement, position tee shots off the tee and approach shots into the correct area of the green. For serious Merion-watchers, it is impossible not to wonder who will win the U.S. Open and join the select club of "Merion champions." They would kill for Tiger Woods to win, or Phil Mickelson. Adam Scott looked good in a Masters green jacket and winning the second leg of the Grand Slam at Merion would be a dream come true for all involved. Remember, this is more than about winning the Open, this is about becoming part of Merion history. If you think many of the details of next month’s U.S. Open at Merion GC are left to chance or are done on the fly, think again. They had worked out many, if not most, logistical problems before the 2013 Open was ever awarded to Merion, back in 2006. That hit home today when I looked up an old story I wrote for the Inquirer that ran a few days before the start of the ’06 Open at Winged Foot, where they made the announcement. 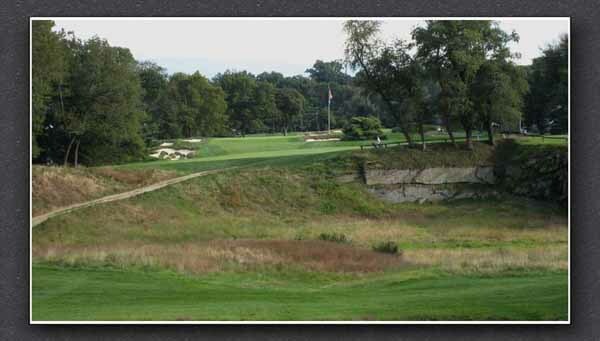 While nobody will say so officially, it's going to happen: Merion Golf Club is getting the 2013 men's U.S. Open. "The USGA will have an announcement next week," Marty Parkes, spokesman for the U.S. Golf Association, said yesterday. "Until the formal announcement, I can't confirm any site." Parkes was responding to an erroneous report that said Merion would be announced yesterday as the 2013 Open site. It was off by a week. The news conference is scheduled for 11 a.m. Wednesday at Winged Foot in Mamaroneck, N.Y., on the eve of the 2006 Open. At Merion, lips also were officially zipped. Or maybe they were just biting their lips. But with Fay and Davis leading the Merion charge, and with its main competition (the Country Club at Brookline outside Boston) falling by the wayside, suddenly, all that stood between Merion and its first Open since 1981 was the matter of working out the outside-the-ropes logistical problems. Still, they are no small problems. Unlike the grand-scale clubs and courses that host the Open these days, the Merion clubhouse and its fabled East Course are tucked away on a rather small plot of choice real estate in the middle of a residential neighborhood in Ardmore. Details had to be worked out about where to put the sprawling corporate village, the merchandise tent, the media center and parking for thousands of spectators, as well as getting cooperation from SEPTA. Although all the details haven't been finalized, enough have that the USGA is satisfied. Spectators will be limited to 25,000 per day, down from galleries of the 40,000 to 50,000 at Pinehurst No. 2 in North Carolina last year. To reduce the flow of spectators, instead of a few giant grandstands, many smaller grandstands will be situated around the course. Much of the corporate village will be on the nearby campus of Haverford College. Smaller corporate tents will be scattered throughout the neighborhood. 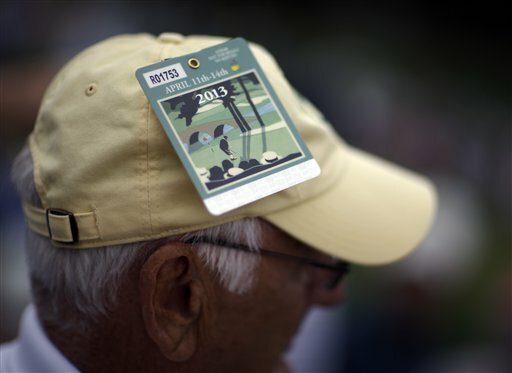 Players will practice on Merion's nearby West Course and be shuttled to the East Course. With the Ardmore train station within walking distance, fans will be urged to take SEPTA. Not much has changed in the planning since then. Like many of you, when I saw that Vijay Singh had sued the PGA Tour for supposedly damaging his reputation over this deer antler spray dust-up, I was amused. Okay, not amused -- I sat there slack-jawed, in utter disbelief. Why? Because in my years covering the PGA Tour for the Philadelphia Inquirer, I had the displeasure of actually dealing with Vijay Singh on plenty of occasions. The PGA Tour damaged his reputation? Huh? If you ask me, he did that all by himself. You know that word-association game, where somebody says a word and you say the first thing that pops into your mind. With me, mention Vijay Singh and I think, Prick. After that, maybe, Sourpuss. I can remember 10 years or so ago, when Vijay was at the top of his game, in the spotlight, winning tournaments and even majors. There was no disputing that he was very good and one of the hardest workers on the Tour. Still, whenever his name would climb to the top of the leaderboard, you could almost hear a collective groan go up in the media center. Vijay being at or near the top of the leaderboard meant we had to deal with him. Assuming the PGA Tour could coax him into the media center for an interview – and that was no easy task – he would sit there sullen and moody, like a hostile witness being cross-examining. He could be insulted by the easiest, softball inquiry into his round or the tournament at hand. The only question in my mind was whether Vijay found us more distasteful than we found him. I never could figure out why Vijay Singh was so disagreeable. I mean, winning over sportswriters is so easy. Rule No. 1: Don’t be a prick. Rule No. 2: Don’t be a prick. The best conclusion I ever came up with was that somewhere along the line – perhaps when he was a young pro in 1985 and got suspended by the Asian tour for cheating – Vijay decided to shut down and shut out the media. Eventually, the media stopped giving him the benefit of the doubt on anything. You don’t like us; we don’t like you. It’s like a bad marriage and it ain’t going to change. (Pertinent paragraph from John Garrity’s story in Sports Illustrated in 2000. There is nothing alleged or unsubstantiated about the fact that the Southeast Asia Golf Federation suspended Singh indefinitely for altering his scorecard in the second round of the '85 Indonesian Open in Jakarta. It's also a fact that Singh was banned from playing the Australian PGA circuit—not for cheating but for failing to pay off loans and long-distance phone bills. In 2003, Vijay crossed swords with Doug Ferguson, the golf writer for the Associated Press, when he quoted Vijay as saying he would WD from the Colonial Tournament if he was paired with Annika Sorenstam, when she was making her historic foray onto the PGA Tour. For quite some time after that, Vijay had no use for Ferguson. Fergie would ask a question in a press conference and Vijay would look at him blankly, ignore the question, then call for another question from somebody else. From time to time, you’d hear from other players that deep down, Vijay was a decent, generous, even likeable guy. That may be, I don’t know, but he did a superb good job of not showing it to the media. On occasion, he did rise to the level of not being a total jerk. Once, I even saw him smile. My most enduring image of him is as a solitary figure out on the range, long after all the other players have packed it in for the day, hitting balls into the dusk.